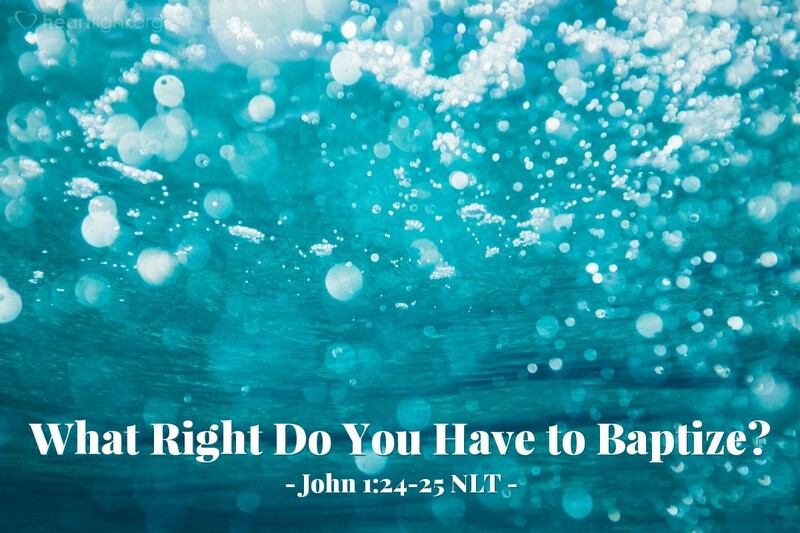 Then the Pharisees who had been sent asked [John the Baptizer], "If you aren't the Messiah or Elijah or the Prophet, what right do you have to baptize?" What right do you have to do what you do? That's a good question, especially for those of us who are blessed with freedom. We take for granted our right to do what we do. Behind this question, however, stands a powerful truth: We have the right to do what we do only because God in his grace has granted us that right. John did what he did because God had called him to the task. John had the opportunities he had because God opened the doors for them. John had the effective ministry he had because he did what God wanted him to do. John's right to baptize, preach, teach, and prepare was given him by God. More than just the right to do these things, he had the authority of God to do them. God has great plans for us also. He calls us to his purposes. He has given us the right as his children to bring light to this dark world. Let's use our God-given rights to our Father's glory! Father, thank you for giving me the right to be your child. Inspire me to bold and courageous living for the sake of the Kingdom and the cause of the Gospel. Please give me a heart as fearless and true as your great servant John the Baptizer. In Jesus' name. Amen.